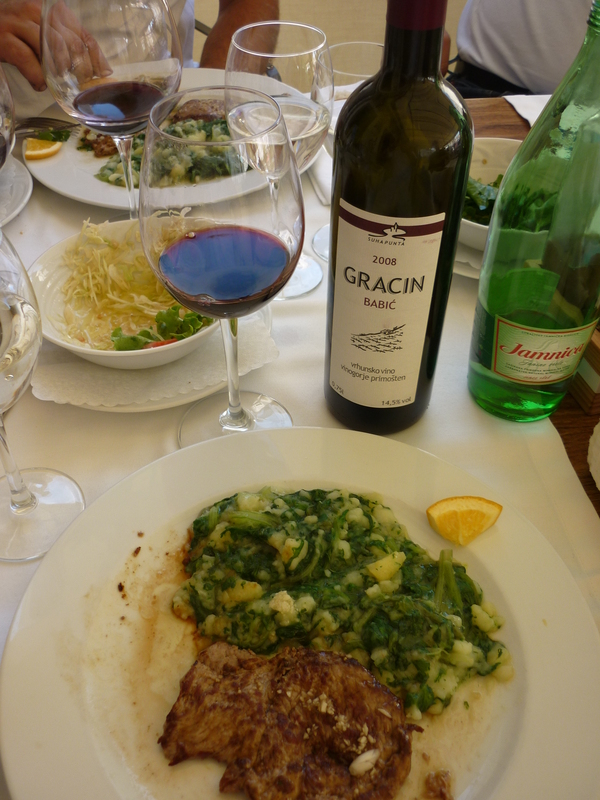 Anyone who has traveled along the north central coast of Croatia and stopped to have a snack and glass of the local vino may inevitably come upon variations of Babić wines – usually presented as “house” wines at cafes or available at shops in one liter bottles with a beer cap closure – that left much to be desired. These wines are usually produced from Babić grapes that were grown in the easier-to-cultivate lowlands and fertile fields. Sometimes blended with other local grapes such as Plavina and Vranac and classified as table wine (“Stolno vino”), “field Babić” wines are commonplace and are mostly consumed by locals, often mixed with water to make a traditional beverage called “bevanda”. At present this simple Babić offers little to get excited about and is unlikely to find much appeal outside the local market. But the “Kvalitetno vino” (Quality Wine) and especially the “Vrhunsko vino” (Premium Wine) categories have recently gotten more interesting, with a spike in quality and winemakers with a vision for the future where Babić will take a place among the world’s great wines. 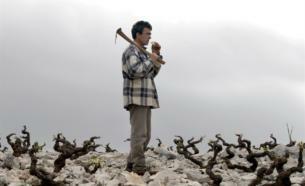 Many obstacles lie ahead, of course, and the modern wine market is a cruel place. But I think Babić possesses enough character, “drinkability”, and uniqueness as a quality wine to warrant the attention and investment in its future. The challenge for any serious-minded grower is this: left to its own devices, Babić will wildly over crop (i.e. produce high yields), especially when planted in the wrong spot – like the lowlands and fields. 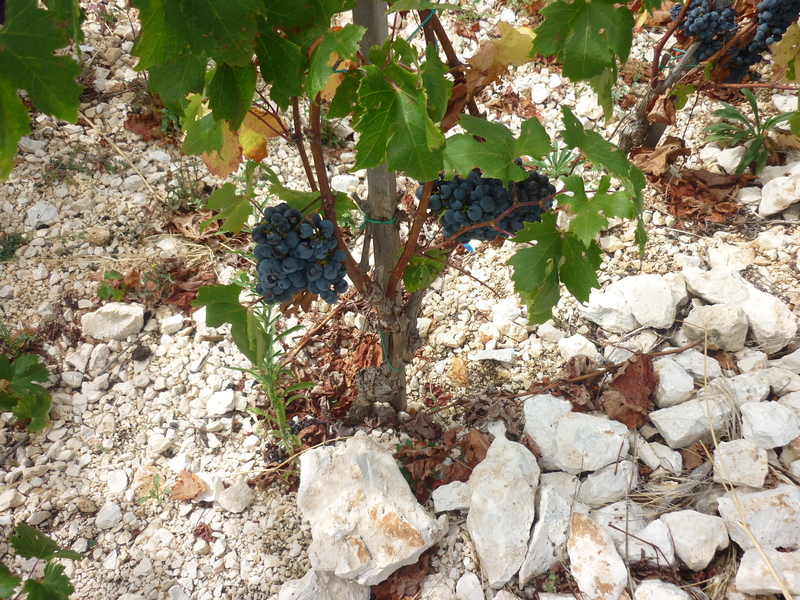 But planted in the right spot, under the right conditions, Babić can excel as a high-quality, terroir-driven, uniquely complex wine. Essentially its behavior changes from that of a wily teenager to that of an elder statesperson; its body transformed from thin and anemic to full-busted and round. 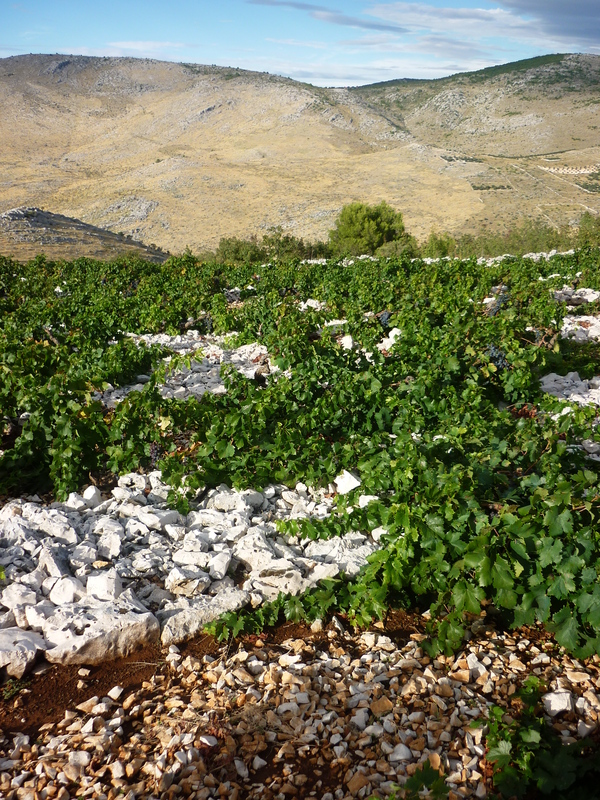 Quality-conscious Babić growers know that in order to achieve great fruit for great wine, Babić must be planted away from the fertile fields and up on the mountains in “škrt” (“stingy) soil. 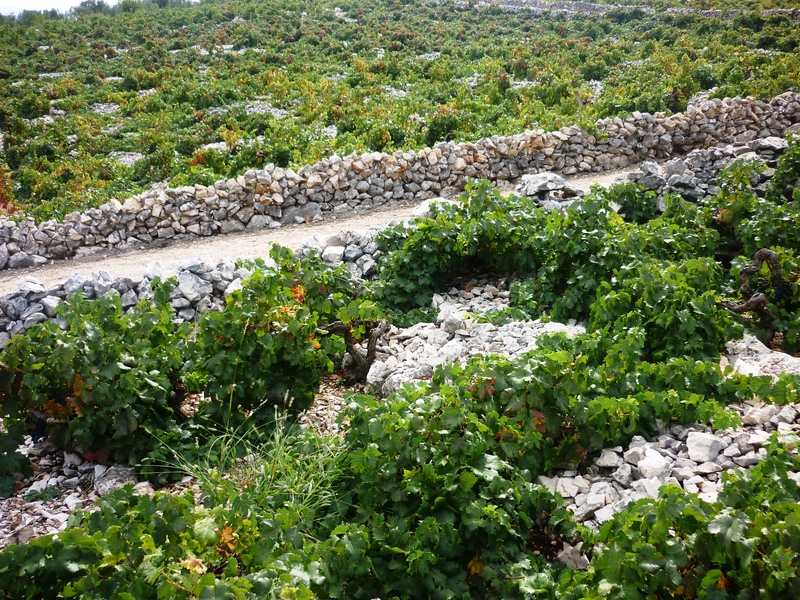 To do this, one must climb the jagged slopes above theAdriatic Sea, smash open the ubiquitous limestone crust of the earth, find little patches of škrt soil between the rocks, bore a hole into which one vine is planted, and repeat until a vineyard is established. 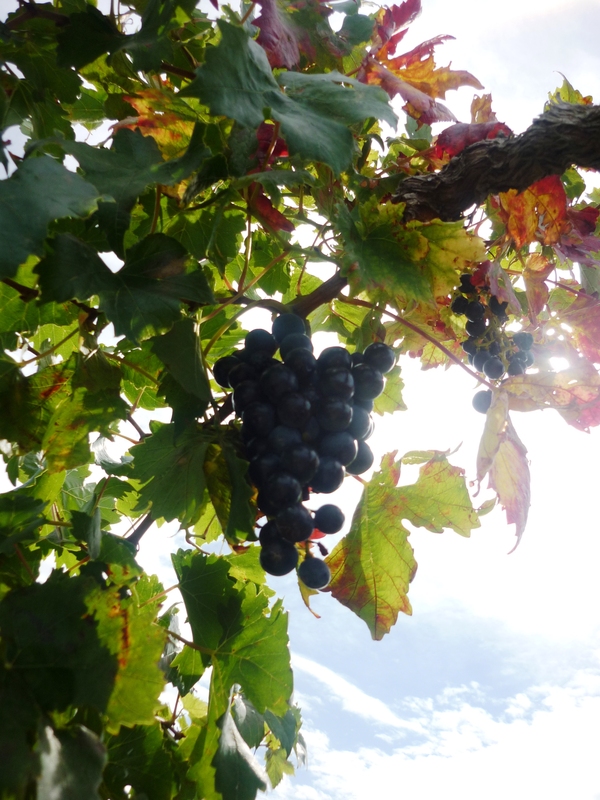 Because the grapevines struggle to survive in nutrient-poor and stony earth, they eventually succumb to the gravitas of their situation and become submissive; their wild nature subdued and poised; their berries intensified with the characteristics and flavors of the terroir: deep, dark color; brooding, complex aromas of brambly black fruit, dried fig, and roasted herbs. While some of these aromas can be rustic and earthy, on the palate the wine can be smooth and refined, juicy and long-lasting. As with all hot climate wines, another key to producing great Babić is slow ripening and maintaining the freshness of thier acidity. In this regard, Babić has a slight advantage over Plavac Mali, which often struggles to balance acid and sugar levels due to an extremely uneven ripening process that can result in overripe, shriveled berries together in the same cluster with green, unripe berries. Luckily Babić has a tendacy to ripen more evenly and is capable of retaining acidity as it makes the journey toward phenolic ripeness. The danger though is that the fruit will raisinate in the blazingly hot Dalmatian sun and drought conditions that are typical in the region, cooking the fruit and sending alcohol levels in the finished wine to unattractive heights. Recent improvements in vineyard management and winery techniques by local winemakers are beginning to deliver exciting results and reveal the potential of Babić as a wine of quality and character. Leading this “Babić Renaissance” is a handful of pioneering producers, such as Alen Bibich (“R6“), Leo Gracin (“Suha Punta”), Vinko Piližota, Stipe Gašperov (“Kamena Suza“) and Josip Žuvan (“Babić Žuki“). 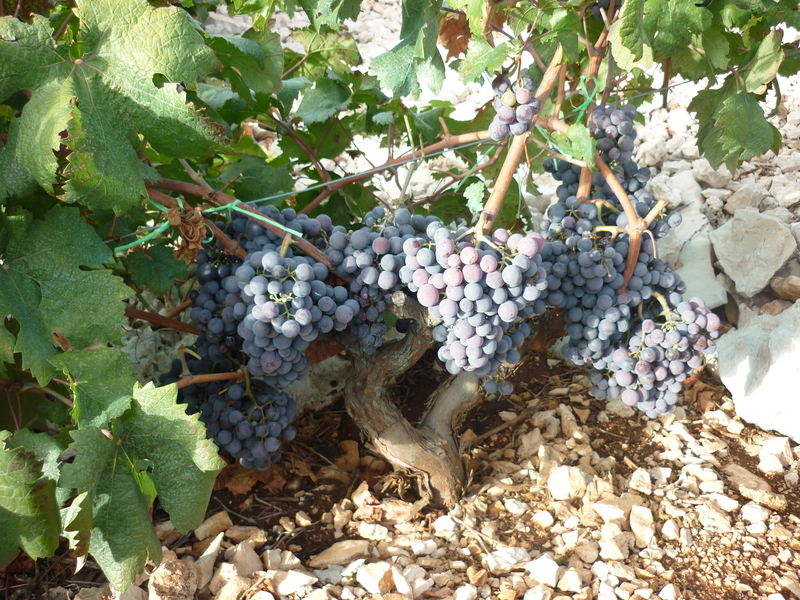 Even Vinoplod winery, the local cooperative in Šibenik, has initiated steps to improving quality and is increasingly become a source of very good Babić, especially their “Vrhunsko“ (Premium) and “Barrique” (barrel aged) labels. 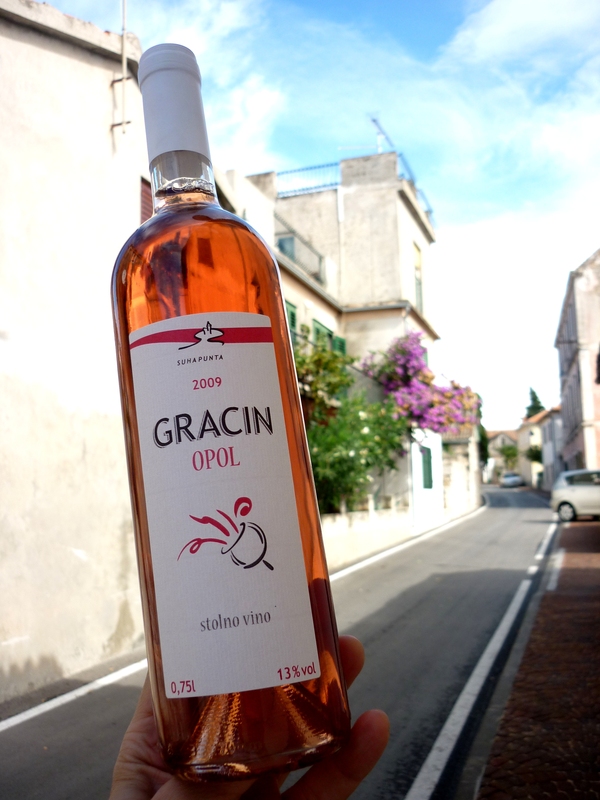 Gracin Rosé of Babić "Opol"
The bottom line is, as mighty Plavac Mali ventures out into the world in search of love and new consumers to subjugate, back at home stately Babić quietly makes prepations for her own grand entrance. And one should never underestimate the determination and seduction of a good Queen! 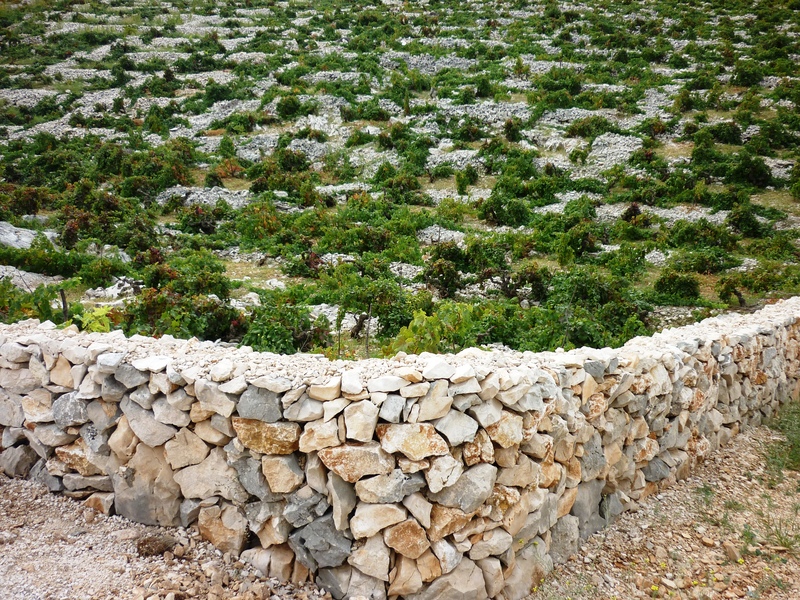 In my next report, we’ll visit the mother of all Babić vineyards, Bucavac. Note to consumers: Very little Babić wine is currently exported. 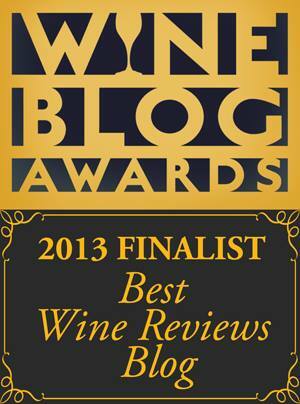 However, there are two wines on the U.S. market that are noteworthy. 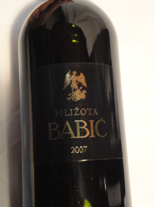 The first is Piližota Babić, the only 100% Babić wine on the U.S. market (actually Piližota offers two labels, the so-called “black label” Babić and the “white label” Babić. The black label is a premium wine that is oak aged and costs about $24, while the white label is the entry-level offering costing about $18). 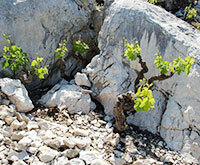 Piližota Babić is imported by Vinum USA and is available from Madison Wine Cellar and Murray Hill Wines. The second wine is the Bibich R6, a red blend that contains 34% Babić, 33% Lasina, and 33% Plavina). It is available via Oenocentric imports and Blue Danube Wine Company and retails for about $20. 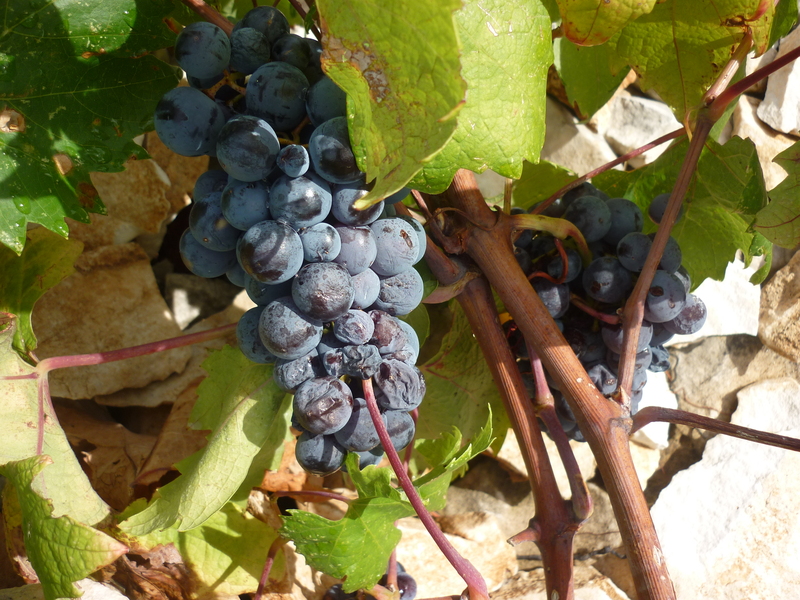 After nearly four years, the wine shows positive signs of development with its dark cherry red color and garnet hues. Yet on the nose it still bursts with aromas of tight black berries, brambly black fruits, dried plum, chewy fig, black olives and sweet oak. With these aromas and its hint of “barnyard”, there no mistaking this beauty as a Dalmatian wine. On the palate it is smooth and round, marked by a vivacious freshness akin to sun-ripe blackberries bursting in your mouth. While a tannic grip lends additional structure, it is sweetly pleasant and refined. Rustic yet elegant, this Babić finishes long and smooth, leaving you with the lovely taste of dried plums and figs – perhaps slightly dusted with cocoa – and dreams of pan seared cutlets served with olive oil and garlic doused chard at a seaside restaurant in Primošten.